First and foremost, you have a right to be treated humanely. All other rights you have stem from this fundamental, universal right. The cops and the prosecution often try to abridge this right, chipping away at your dignity and your self-respect until they have a conviction. The police legally have the capacity to lie to you and exploit this to get unfair convictions. Sometimes, the police will engage in illegal activities to reach their quota, as the many cases of police brutality in the news show. Before anything else, demand that you be treated with the respect you deserve. Cops know the law. They know every in and out of the rulebook and engage in dirty tricks in an attempt to ensnare you. The cops often ask a series of questions designed to lead you and trap you into saying things you would not otherwise say. An experienced lawyer knows how to fight unfair prosecution. During questioning, you have the right to an attorney. The attorney will ensure that you do not sign anything that you should not sign, you do not say anything that you do not want to say, and will get you the best outcome you can get. If you cannot afford an attorney, the court will appoint you one. We have all seen these in the movies and on TV, but it is important to understand what they mean. You have the right to remain silent. You do not have to speak to the officer if you do not want to. No lawyer has ever said that their client said too little to the police. The Fifth Amendment protects you, and good defendant’s trust this protection. They will use everything you say against you, so be mindful not to say too much. Finally, you have the right to an attorney. No one can iterate enough how important it is to have an attorney by your side during questioning. The police are not allowed to just ask you questions until they get a hit. You have the right to know what you are being accused of, so that you and your lawyer can form a cogent defense. This is a law particular to Florida. 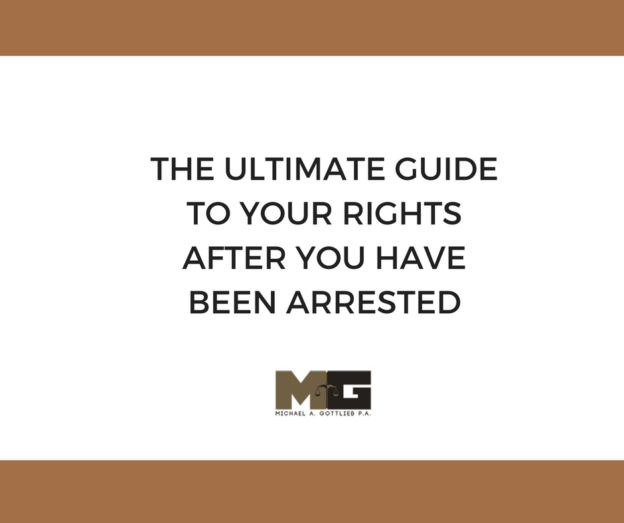 When you are arrested, you have the right to know the names and badge numbers of the police who speak with you. This may be vital, as certain cops may have track records of less-than-stellar dealings with the accused. The Constitution of the United States enshrines certain rights to all Americans. You have the right to a speedy trial. The prosecution is not allowed to let you just languish in jail. Police are not allowed to punish you in a cruel and unusual way. No matter what crime you are accused of, you are not to be punished before a conviction. If you have any questions about the law, feel free to call us. When you have a case, do not delay. Call us right away.